If, statistically speaking, Matt Cain is the most interesting man in the Giants’ world, then Barry Zito is the most boring. He isn’t even the most stylish pitcher on the team anymore! I feel like most Giants fans have gone through the five stages of grief with Zito. Denial (we didn’t really give him a 7 year/$126,000,000 deal…he isn’t really this bad, is he?). Anger (he’s this bad and we are paying him how much?). Bargaining (surely some sucker will take this contract off our hands…please, please baseball gods, real God, someone, anyone, make him go away/get better/turn in to Tom Glavine, anything but this!). Depression (want to go to the game today? sure…wait, who’s pitching today? zito? never mind…good luck finding someone else). Acceptance (Yeah, we’re paying him way too much money, but we have four other amazing pitchers so who cares…plus every now and then he has a game like this…we can wish the contract away, but, hey, world championship!). Every year Zito does just enough to tease us, make us think he might put it all back together at some point and maybe approximate his 2002 self, but then you walk away from every season and realize the Giants are paying ace money for a league average pitcher sending you back to the depression stage. It is somewhat amazing to believe that Zito has now pitched four seasons for the Giants, meaning he only has three to go (and one of those is an option). As an aside here’s a blast into the past…remember when Zito signed and we drooled over the idea of a big three of Zito/Lowry/Cain…and maybe that Lincecum kid could develop into a nice fourth option. Wow. Now that we are on the downside of the contract the possibility of trading Zito may actually becoming a reality. I suggested the Giants try to ship him to New York when the Yankees lost the Cliff Lee sweepstakes, and Jonah Keri suggested the same thing recently at fangraphs. If the Giants could actually pull this off there would be much rejoicing back in the Bay Area. However, the reality and irony is that trading Zito may be a bad idea (it may also be an impossible dream due to Zito holding a full no-trade clause, which, at the end of the day, might be the worst thing about his contract). Now, if the Giants could swing a deal and get Barry’s consent, I’d be all for it. Especially if someone like the Yankees took on all the remaining money. The Giants are heading in to a phase where some of the young guns are going to be seeking/deserving some decent coinage: Lincecum/Wilson/Cain/Posey and probably Sandoval (not to mention Sanchez and a few others) will be needing/wanting big contracts in the next couple of years and it would be a shame to say no to Cain, for example, because we have to pay Zito. That being said, thinking only about 2011, I would argue the Giants need Zito. Enter into this hypothetical for a moment. Let’s say you have a team that has four studly young pitchers who all just exceeded their career highs in innings pitched. Let’s also say that there isn’t anyone ready in the minor league system to step in and help out in any significant way. What kind of a pitcher would you want in that fifth spot? Probably someone who is reliable, doesn’t get hurt or miss starts, veteran, and who gives your team a chance to win 60% of the time he pitches. Which is exactly what Zito is. As Giants fans have entered the acceptance stage of the grieving process this is often the only silver lining: at least he hasn’t been injured (although at times that would have been a welcomed development). Is the contract horrible? Yes. We get it. Been over that a million times. 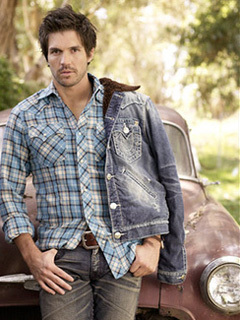 But in 2011 I think the Giants need exactly someone like Barry Zito at the back end of their rotation. This entry was posted in Giants and tagged Barry Zito, giants, pitching staffs, trades. Bookmark the permalink. Well put. I still think he could be great. Maybe just wishful thinking. I really, REALLY want to disagree with you, but I just can’t. I’ll take Zito over Todd Wellemeyer and Ryan Sadowski every time. i’d love to disagree with me too. one revisionist view of history would want to the Giants to trade zito immediately after lee signed with philly. that would have given the giants time to go after, say carl pavano. however, is pavano (or some other guy like him, that was available) actually an improvement? i don’t think so. other than the giants trading zito and signing lee (which was never going to happen), there was no way to improve the rotation in the short term, making barry pretty valuable to the giants this coming season. which seems crazy, but i think its true. On a completely side note – but baseball related. If you haven’t read this article, I think you’ll like it. Some true life baseball detective work. yeah Jensen…saw that today. too much time on their hands!